When Anne Boleyn falls to the executioner's ax on a cold spring morning in 1536, Anne Seymour knows her family faces peril. As alliances shift and conspiracies multiply, the Seymours plot to establish their place in the treacherous court of King Henry VIII, where a courtier's fate is decided by the whims of a hot-tempered and fickle monarch. Lady Anne's own sister-in-law, Jane Seymour, soon takes Anne Boleyn's place as queen. But if Jane cannot give King Henry a son, history portends that she, too, will be executed or set aside--and her family with her. 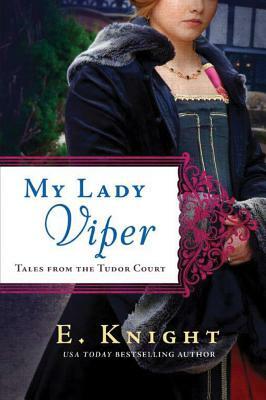 In desperation, Lady Anne throws herself into the intoxicating intrigue of the Tudor court, determined to ensure the success of the new queen's marriage and the elevation of the Seymour family to a more powerful position. Soon her machinations earn her a reputation as a viper in a den of rabbits. In a game of betrayal and favor, will her family's rise be worth the loss of her soul?